In hindsight, it's no surprise that one of the best ads of 2014 came from an unlikely corner of the advertising world: digital agency R/GA. "The Game Before the Game," for Beats by Dre headphones, featured Neymar Jr. along with a dozen other international soccer stars acting out their pregame rituals. Saturated in the high-stakes drama of the World Cup and set to the stomping soundtrack of "Jungle," by X Ambassadors and Jamie N Commons, the June ad seemed like an upset victory, arguably outshining messages from brands like Nike and Adidas during the year's biggest global athletic event. In fact, R/GA—Adweek’s Digital Agency of the Year for 2014—has been cranking out killer TV spots for Beats since late November 2013, starring pro athletes like the Brooklyn Nets' Kevin Garnett, San Francisco 49ers quarterback Colin Kaepernick and Seattle Seahawks cornerback Richard Sherman, all using noise-canceling Beats headphones to tune out insults from fans and talking heads in favor of Aloe Blacc’s irrefutably cool track "The Man." 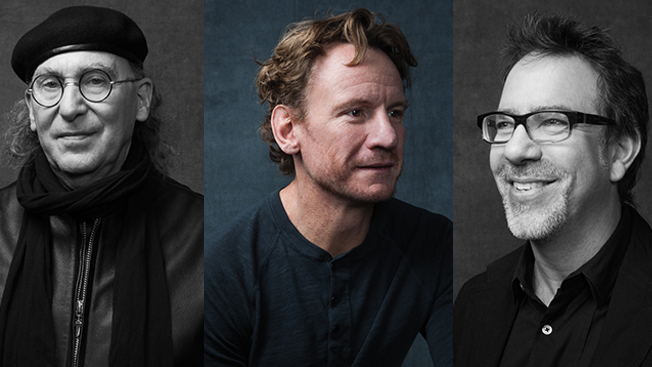 But for global chief creative officer Nick Law, the watershed moment came almost a year later. On Oct. 20, 2014, a new Beats ad was going viral. Set to Hozier’s "Take Me to Church," it welcomed LeBron James back home to Cleveland after the NBA star's four years playing for the Miami Heat. The same day, R/GA unveiled the 10 startups making up the second class of its TechStars Accelerator for Internet-connected software and devices, including Astro, maker of simple home-automation appliances like lightbulbs and speakers. “So on one end of the spectrum, we’re doing sort of classic narrative advertising on broadcast—and obviously it has a big impact in social—and on the other end of the spectrum, we're announcing the Accelerator,” Law says. Especially when compared to more workaday ads the agency made for Ameriprise in 2010, the Beats campaigns signal R/GA’s maturation into a shop that can deliver not only great digital products but also truly top-tier TV spots, vaulting ahead of its digital rivals. R/GA’s expertise runs deeper than traditional or digital marketing sizzle. The agency also helped design the branding and user interface for Beats Music, the buzzed-about streaming service that the company launched in January. And while the tight-knit relationship makes Beats one of R/GA’s leading four clients in terms of revenue, it’s also just one piece of the agency’s 2014 success story. The Interpublic Group shop has enjoyed substantial growth, with global revenue up 11 percent to $296 million, according to Adweek estimates. This, thanks to new accounts such as Airbnb and a growing relationship with Volvo, as well as expanding assignments from marketers including Google and Samsung. In recognition of its creative excellence, it earned a truckload of industry honors this year, including 23 Clio Awards (including two Grand Clio Sports), 10 Cannes Lions, five One Show Pencils and two Effies. It is not uncommon, of course, for this agency to make a strong impression. Todd Pendleton, Samsung’s U.S. chief marketing officer (and a former Adweek Brand Genius), hired R/GA as digital lead in 2013 after working with the shop in his previous post at Nike, which remains one of R/GA’s key relationships. Samsung, for its part, doesn’t brief R/GA specifically for TV assignments, but the partnership yields filmic work, like an online clip this fall about two guys driving across the U.S. on a single charge of a Galaxy S5 smartphone. And the agency is in the client’s inner circle, not just on campaigns but also on core and forward-looking aspects of the consumer tech conglomerate’s business.